I have received a request from one of FLUTEinWIEN Blog readers, asking to address the use of vibrato. The reader was missing a sort of a practical guide for vibrato, as he could find much advice online on how to play or practice it, but not so much advice on deciding how and when to use it. I am personally quite a fan of playing with vibrato. Having said that, it has to be played with a good taste and used in the right moments. I like and encourage the students I work with to develop various types of vibrato that would fit to various musical moments they wish to create. Your vibrato should vary in its speed and its ‘wave’ size (depth) and you could benefit a lot by separating and controlling each one of them better. Are you using your vibrato as if you have an on/off button for it? Are you simply playing with or without vibrato? Are you actually aware of when you use your vibrato or is it just happening involuntary? If you answered with ‘yes’ to one or more of these questions, I can highly recommend to you to start asking yourself ‘Why did/do I use vibrato in this passage/on this note?’; ‘What does this musical phrase mean/need to say?’. If you don’t have a good musical reason why to use it, then maybe you should reconsider if it’s appropriate in that moment. It’s simply a common sense that you would not want to use the same vibrato for the most loud and dramatic moment of the piece and the most quiet, soft and transparent moment of the piece. If you play an extremely soft passage and using very big ‘waves’ of vibrato, your vibrato would ‘take over’ your tone, would be too dominant and interfere with the musical moment you wish to create (a soft, calm, relaxed atmosphere). You’d better be able to play a rather quick vibrato with very small ‘waves’ that would integrate into your tone and wouldn’t be too present. If on the contrary, you are playing a very loud, powerful and dramatic moment you would want your vibrato to help to create that drama and therefore choose a vibrato with bigger ‘waves’, that would be more present. A Whole Semester of Flute Classes in Only 5 DAYS!? Participate in an Intensive Private Masterclass and have 3 HOURS of classes EVERY DAY! Consider your different vibrati as you consider your different tone colors. There’s a certain repertoire in which you would choose a certain color and a different repertoire in which you would probably choose to play with another color. Are you playing your Baroque sonatas with the same vibrato as the Prokofiev or the Franck Sonatas? It’s perhaps time to reconsider that. Playing vibrato in Baroque, classical and even some would say romantic repertoire was reserved to enlighten certain notes or would be used rather as an effect. It was surely not used as a constant vibrato as we know and got used to play it today. Therefore, try to play this repertoire without vibrato and keep it for certain moments – to make them special. Instead of vibrato, use rather your air as one wave, increasing it through the note length and reducing it towards the end of the note. Too many times I hear students playing beautifully a Baroque sonata with a proper use of vibrato (if any) and for some reason, the very last note of each movement seems to turn on their vibrato. 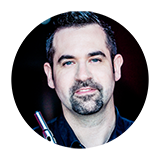 Check whether you tend to do that as well and try to avoid adding it on the last note – if you didn’t need it till the end of the piece, you surely don’t need it on the last note. There are of course many more parameters that might help you to decide when and which vibrato to use and those would require specific examples in order to discuss them further. I hope this guide can give you a clearer idea of what to look for with your vibrato and why and when to use it (or not). 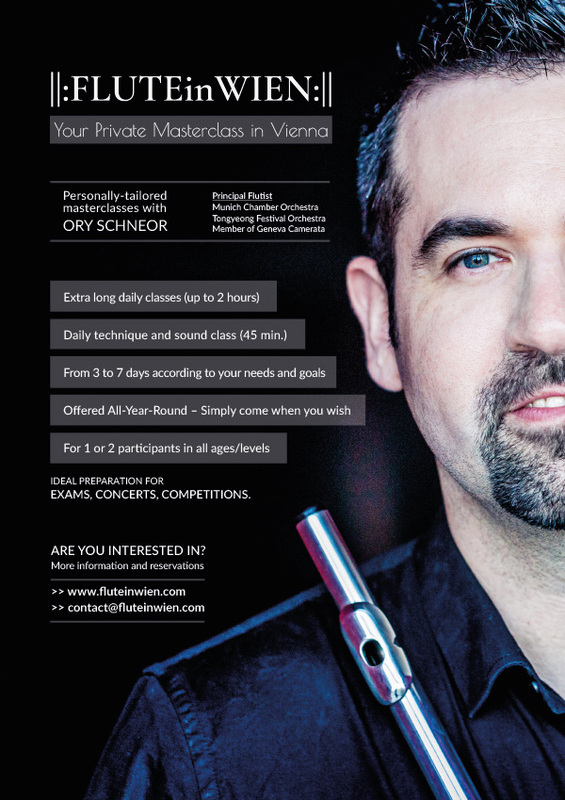 Have Your Own Intensive Private Masterclass in Vienna! With up to 3 HOURS of active playing every day, just imagine how much you can improve….